CABINET DECISIONS TAKEN DURING THE CABINET MEETING HELD ON MONDAY 11th FEBRUARY, 2019 AT THE OFFICE OF THE PRESIDENT. Noted that the 42nd Commemoration of St. JananiLuwum Day will take place on Saturday 16th February,2019, at Mucwini, Kitigumu District under the theme “Do not dwell on the past ”. 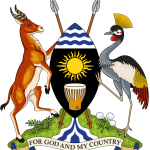 Harmonize Procurement Regulations for Kampala City Authority and Local Governments by providing for; the Minister responsible for the Kampala Capital City Authority and or the Minister responsible for Local Governments in consultation with the Minister for Finance Planning and Economic Development to develop specific Regulations for selected entities as when deemed necessary. To provide for appointment of Registrar, Deputy Registrar, and Assistant Registrar and for other related issues. Reduced cost of domestic debt: -Widening the scope of investors reduces the dependence on a few players such as commercial banks, offshore players and institutional investors which tend to bid highly in the auctions given that Government has limited choice. – This product takes on the characteristics of a Collective Investment Scheme, which is not taxed under the Income Tax Act. Therefore tax will not be considered when pricing.